Are you Still Stuck with the Storm? Have you gotten the help you need? Tell us your story here. We are getting lots of calls and emails from people who need help rebuilding and finding housing who are dissatisfied with the state’s programs. We would like to collect your stories and use them to advocate for changes to the state’s programs that make the programs more effective. Although our organization has lawyers on staff, it is very unlikely that we will be able to represent you directly due to our limited resources. Our efforts instead will be targeted to advocating for overall changes that are needed to make the state’s programs more responsive to the needs of people who applied for funding and were denied or who otherwise need help not being provided by the state. We also welcome your thoughts about what the state has done well and how your good experience could be replicated. Is there an office or employee you dealt with that was especially helpful? Please share that information too. There are four ways to share your story. Send us an e-mail at stillstuckwiththestorm@fairsharehousing.org. Use this form if you applied for grants or loans and were denied. Use this form for general comments or to share information anonymously. We encourage state employees and employees of contractors to share information about their experiences using this form. Call us at 1-866-SANDY60 and leave a message about your experiences. What programs you applied for. Why you believe you were eligible. Documents you sent to and received from the state or its contractors. Your experiences in dealing with the state and its representatives. How this experience has impacted you and your family. We will keep your information confidential to the full extent permitted by law unless you permit us to share it. If you are OK with us sharing your story (with or without your name), please let us know. If are are OK with us sharing your story with the media, or may be willing to do so yourself, please let us know. If it is unclear, or if you have not specifically agreed to allow us to use the information you provide to us, we will check with you before doing so. Although we will confirm receipt of the information you provide, it is unlikely we will be able to directly assist you. We will though use the information you provide in an effort to make the recovery funding process more fair and transparent. We will use your information to ask questions of and get information from state agencies involved, and, as much as possible, we will share the answers we receive and any other resources on our website. We do not intend to create an attorney-client relationship in requesting this information. 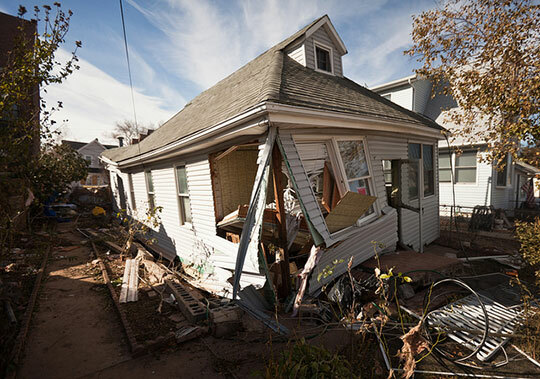 If you need legal representation, you should consult an attorney by calling your local bar association, or contact the Volunteer Lawyers for Justice Sandy disaster hotline at (855) 301-2525 or visit http://www.vljnj.org/.